Good news from my friends in Holland. 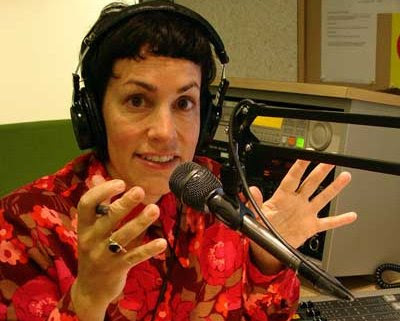 Radio Mona Lisa programmes are now available on demand for two months after broadcast. The weekly programme is hosted by Patricia Werner Leanse, and is devoted to women composers and performers. Patricia, who is seen in my photo above, is a mezzo soprano from California. She has lived in the Netherlands since 1989, and also writes for the influential Dutch magazine "Opzij". Her recent recording of the complete vocal music of Marjo Tal with pianist Patrick Hopper (BVHaast # 0302) received considerable attention in Europe. Listen to some fine contemporary music on demand via this link. American ladies are doing some very good things in Holland. I wrote about Dutch based composer Vanessa Lann here a while back. Follow this link to Vanessa's Myspace site for a complete performance of her song cycle "Memory Demands So Much" based on a poem from Denise Levertov.